Is online poker headed toward virtual reality (VR)? 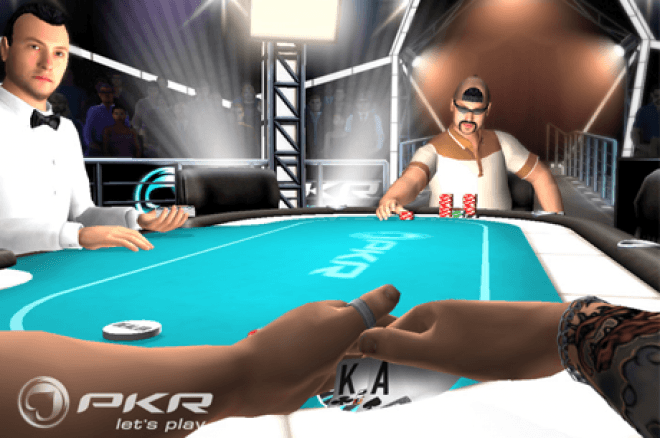 Not to say that there won’t be real-money VR poker once VR systems become a more common household item (not just Google Daydream, but something more like Oculus Rift or HTC Vive). But I don’t see poker being successfully adapted to VR on a broad scale. Every month, it seems, there is a new game innovation in the poker world, trying to make the game more appealing to younger players as the average age of poker players creeps up each year. The world of gaming (the one outside of poker and casino games) is rich with innovation, making video games more and more engaging and exciting and addictive. Online poker, however, is relatively unchanged in the last 15 years since it gained mass attention. For comparison, look at 2002’s Grand Theft Auto: Vice City to 2013’s Grand Theft Auto Online, and that’s already four years old. Not only have the graphics and gameplay seen a huge improvement, the entire foundation of the game (taking it online as an open-world multiplayer) has adapted. Meanwhile, 2002 partypoker and 2017 partypoker aren’t all that different. But it’s not for lack of trying by poker sites. 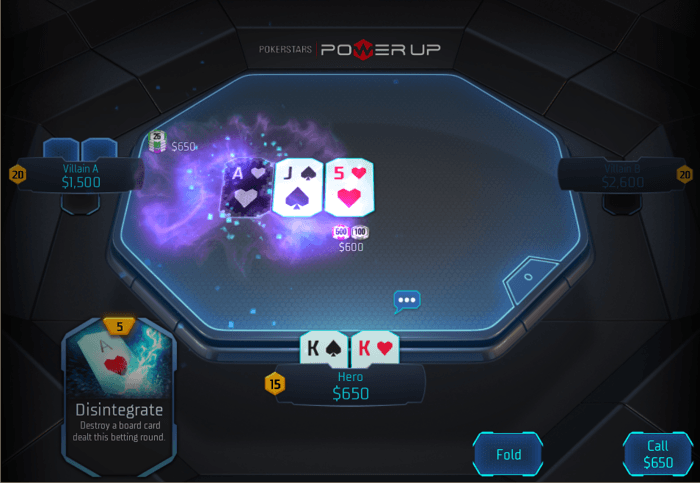 The recent release of Power Up by PokerStars is a brilliant example of a great game innovation. It utilizes the appeal of strategy card games like Hearthstone. It’s exciting. It’s different. It’s beautiful. It’s a lot of fun. It’s hated by most of poker’s regulars. PKR was a poker site I really enjoyed playing on. They were the only ones to depart from the stagnant overhead view of a table with motionless avatars. They made poker beautiful and fun with 3D gameplay and plenty of social interactions and player customizations. I don’t know exactly what caused their demise, but nobody else is rushing to fill that void of realistic online poker. 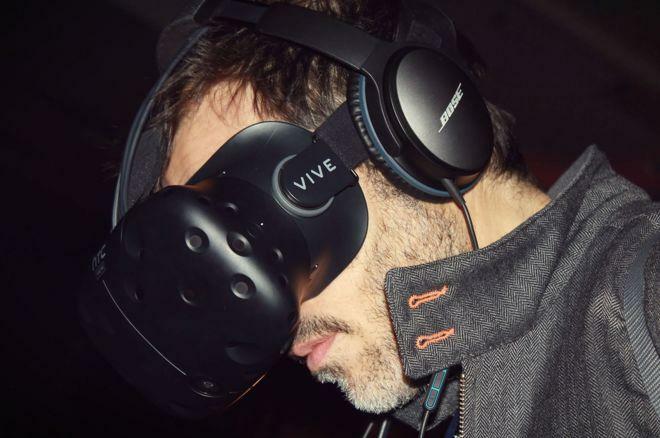 The movement in gaming now seems to be toward VR. We have a few VR arcades in the city I live in, and I was amazed by my first experience playing VR. I’m not a gamer by any measure (I haven’t owned a console since my PlayStation 2 in high school), and my partner even less so. But we played VR dodgeball for an hour and I could’ve easily played longer. The immersive world makes time pass without noticing. And the ability to physically duck and dodge and throw made this simple game a lot of fun for two non-gamers. I just don’t see poker translating to this format. The game is already sedentary by nature. Taking it into VR wouldn’t make good use of the ability to turn physical movements into in-game actions. Who wants to use VR to sit at a table and wait for others to act? I wouldn’t want to discourage poker rooms from innovating and creating things like Power Up and Spin & Go and Flopomania and whatever else is being cooked up behind closed doors at this moment. I think these do a great job of hooking new and casual players, but with the end goal of converting them into players of regular online poker. The old template followed by PokerStars, 888poker, partypoker, Unibet, Everest, and all the other sites out there is a proven product. The differences between them are minimal and mostly just stylistic. This shared foundation is still fueling the poker world with no end in sight. The demographic is shifting a little, with older players making up more of the market (and I mean above 35 instead of around 25, so not “old”). But this demographic has more disposable income and more resources to travel, which is just what poker needs. VR isn’t going to “save online poker.” Online poker doesn’t need saving. It’s doing just fine, thanks.